Rotten Bliss, The Barnsley Townes Van Coking Plant and Map 71 all perform live in session on the show this Saturday lunchtime. Rotten Bliss is the one-woman project of London based cellist, vocalist and noise connoisseur Sometimes Jasmine. Rotten Bliss is a long term live art research project into the outer limits of the processed cello, an eerie electric dream world inspired by mythology, desire, cacophony and chance. The Barnsley Townes Van Coking Plant is a Country Music influenced, lo-fi work in progress spearheaded by Adrian R. Shaw. Adrian is one half of UK based artist duo boyleANDshaw, a collaboration between Yorkshiremen Adrian R. Shaw and Matthew Boyle. As artists they work within broad range of mediums including film, performance, painting, drawing and sound. 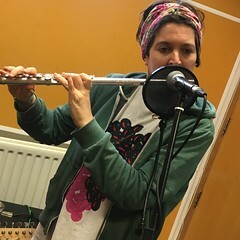 Map 71 is an experimental music collaboration between poet and artist Lisa Jayne and drummer Andy Pyne (Kellar, Medicine & Duty, Black Neck Band of the Common Loon, West Hill Blast Quartet). Please tune in on 104.4 FM in Central London or worldwide on-line via Resonance FM. This entry was posted in dexter bentley, Hello GoodBye Show: Listings Info, resonance fm and tagged boyle and shaw, dexter bentley, hello goodbye, map 71, resonance fm, rotten bliss, sometimes jasmine, the barnsley townes van coking plant. Bookmark the permalink.